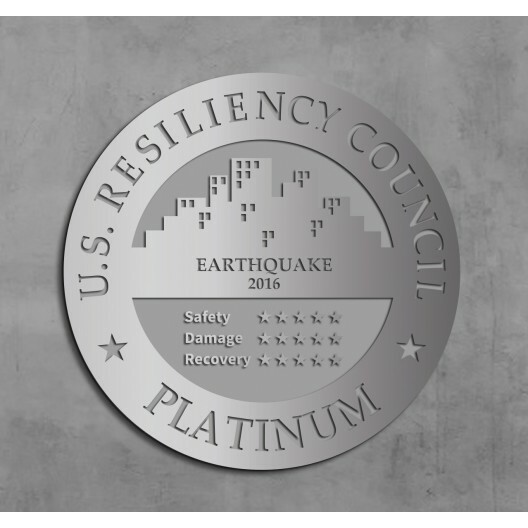 These engraved aluminum U.S. Resiliency Council plaques are machined from solid aluminum sheet stock composed of up to 85% recycled material. This process is inherently friendlier to the environment than the sand casting process. Each plaque is engraved with the USRC seal and the level of your USRC Building Rating. Please select from two sizes: 8” diameter and 16” diameter.